Indonesian Language and Literature Education Study Program is one of the study programs which are managed by Faculty of Education and Teacher Training Tidar University (FETT-Untidar). Based on Decree of the Coordinator of Private Universities Region VI No. 032/SK/Kpt/VII/1979, dated July 17, 1979, this faculty was established as Letter Faculty with one study program that is English Study Program. Furthermore, with the publication of the Minister of Education and Culture, No: 033/0/1981 dated January 22, 1981, The Faculty changed into Faculty of Education and Teacher Training (FETT) and has two study programs: Indonesian Language and Literature Education and English Education for diploma program. In 1984, Decree of Ministry of Education and Culture No. No:0395/0/1984 was published in Jakarta on August 29, 1984. On this Decree, FKIP was given the authority to manage the undergraduate program of education (S-1). On April 1, 2014, based on Presidential Decree No. 23 year 2014, the government was instituted Tidar University as State University in Ministry of Education and Culture area. 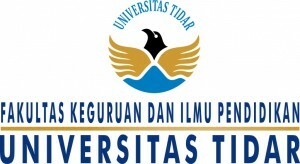 Tidar University was declared as State University on April 2, 2014 in Presidential Palace of Indonesia. With the purpose of quality assurance management, graduation, and responsibility to the society, Indonesian Language and Literature Education Study Program carries out the internal quality assurance (SPMI) and external quality assurance (SPME) periodically through study program accreditation which is held by National Accreditation Board for Higher Education (BAN-PT). The accreditation status of Indonesian Language and Literature Education Study Program at present is B based on the decree of BAN-PT of Ministry of Education and Culture No. 021/BAN-PT/AK-XV/S1/VII/2012. Hence, Indonesian Language and Literature Education Study Program reserves right to organize the education, teaching, and evaluation independently. Indonesian Language and Literature Education Study Program is established to educate and generate the bachelor of Indonesian Language and Literature who are ready to be Indonesian language teacher, researcher, journalist, and entrepreneur with profile description below. Recently, Indonesian Language and Literature Education Study Program owns 14 lecturers (2 lecturers have Doctorate qualification, 12 lecturers have Master qualification, and 4 lecturers are finishing Doctorate program). The functional academics of lecturers in Indonesian Language and Literature Education Study Program are 1 professor, 2 associate professors, 2 assistant professors, 6 instructors, and 3 lecturers. There are 8 lecturers earned teaching certificate. There are 9 education personnel supporting the lecture (1 personnel has master qualification, 1 personnel has undergraduate qualification, 1 personnel has diploma qualification, and 5 personnel have high school qualification). Indonesian Language and Literature Education Study Program has developed the curriculum 2016 refereed to KKNI (the Indonesian National Qualifications Framework), National Standard of Higher Education, and National Curriculum of Indonesian Language and Literature Education Study Program Association. The curriculum 2016 of Indonesian Language and Literature Education Study Program was developed by using formulation of graduate competence standard and learning outcomes in 144 SKS (semester credit unit) which can be taken over a period of at least 7 semesters (3.5 years) and a maximum of 14 semesters (7 years).